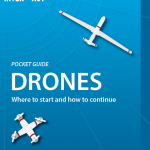 The main objective of WP 8 is to increase awareness of drone technology and sensors among researchers and research station managers while making industry aware of innovative potential uses requiring drone and sensor development. 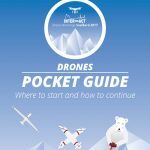 produce a best practice scheme for use of drones at arctic research stations. Ultimately, it is the aim that this cooperation between representatives from science and relevant manufacturers of instruments should lead to new technology set in production.